Half time, Zenit stadium, USSR. A group of malnourished footballers faced a man in German army uniform. The man was an officer of the Schutzstaffel or SS – a notorious section of Hitler’s secret police. He had a simple message for the players – either lose the match or face dire consequences. The team that was being addressed was leading 3-1 after dominating a German military team which was thought to be invincible. A loss for the team who belonged to the “superior race” would be unacceptable to the occupant forces. What the SS officer failed to notice was the fact that he was not addressing eleven footballers – he was addressing eleven men who would go on to symbolize the struggle of ordinary people against oppressors. Second half was no different than the first – the Germans lost 5-3 in the end. This was more than a sporting loss – this was a humiliation for the Nazi overlords. A few days later, the Gestapo paid a visit to the bakery where most of the players worked. Name of each player was called out as they were rounded up and taken to head quarters. They were tortured for days to force admission of sedition. One of the players died in that period. The remaining was sent to a camp in Siretz where they worked in inhuman conditions. Three more players were shot at this camp. Some of the other players escaped, and few of them couldn’t be traced later. The legend of the ‘Death Match’ was born. 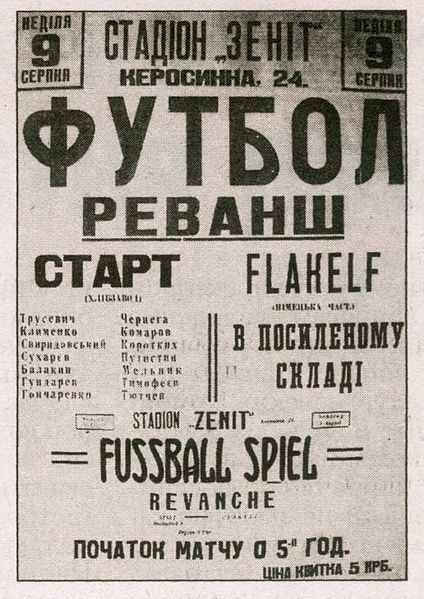 The mentioned match was played between FC Start and Flakelf (made up of Luftwaffe officers). A SS officer refereed the match allowing Flakelf players to play roughly. Flakelf took the lead but Start came back to make it 1-1 when Kuzmenko struck a wonderful free-kick. Kuzmenko was one of the three players killed in the camp. Defender Klimenko had added an insult to injury during the match. After dribbling past entire Flakelf defence as well as the goalkeeper, he chose not to score instead making a backpass. Klimenko was also killed in Siretz camp. Trusevich, captain and the goalkeeper for Start had made several kept stops during the match. Yes, he was the 3rd person who died in Siretz. He heroically exclaimed – “Stalin will return! Long live Soviet Sports!” before falling prey to cold lead bullets. The players should have gotten hero worship when the German occupation ended. Instead their story was hushed up by the Stalin regime. Since they played in a league organized by the Germans – it effectively made them collaborators. The surviving players were afraid to come out with their stories, and remained underground. Two decades later, the story of Death Match again resurfaced in public memory – this time it was aggressively used by the Soviet Propaganda machine in the 1962 film Trity Taime. Eventually it would become an exaggerated story of heroism and martyrdom; inspiring books and movies. The legend of the death match received drastically different treatments in different eras. It is often very difficult to separate myth from fact in these cases. The authenticity of some of the myths associated with the death match has been questioned in recent times. FC Start team was mainly composed of players from Dynamo Kyiv. Founded in May, 1927, Dynamo Kyiv finished runner up in the inaugural Soviet Top League in 1936. For next three decades, Soviet football would be dominated by clubs from Moscow. The Bilo-Syni captured its first league title in 1961. In 1964, Victor Maslov would take over the coaching post in Dynamo Kyiv. Maslov was one of the most innovative coaches in modern football and according to Jonathan Wilson he gave “birth to modern football”. Maslov understood that football was slowly evolving and the future lay in exploiting space when not in possession. During his title winning stint in Torpedo Moscow, Maslov drilled his team to allow less space to opposition players. This would eventually prove to be the first prototype of pressing football. Maslov made another important contribution in term of tactics. Vicente Feola’s Brazil side romped to a world cup title in 1958 by playing a 4-2-4 system. This system was copied by teams around the world who sought to replicate the magic created by Pele, Didi, Vava and Zagallo. In Russian football 4-2-4 was the most widely used system when Maslov started his coaching career. In order to counter the attacking 4-2-4 Maslov pulled back two of the offensive wingers, giving birth to the first 4 man midfield and the 4-4-2. By increasing the number of players in midfield Maslov’s teams were able to outgun the two man midfield opposition clubs fielded. Under Victor Maslov, Dynamo Kyiv became an unstoppable force domestically – challenging and subsequently dethroning the Moscow clubs. During Maslov’s six year reign in Kyiv, Dynamo won three league titles and two Soviet Cups. Players from the club regularly featured in USSR teams as the national team captured a 3rd place in 1966 world Cup. Core of the Dynamo team was built around midfielders Viktor Serebryanikov, Andriy Biba and Yozhef Sabo. Dependable defender Vadym Sosnykhin was also the captain and led from the front. Striker Anatoliy Byshovets played a crucial role in the championship win of 1966 by scoring 19 goals. Goalkeeper Yevhen Rudakov had a long and fruitful career for 15 years and was considered to be the successor to Lev Yashin. After Maslov left, Dynamo Kyiv won another championship in 1971. Two years later former player Valeriy Lobanovsky was handed the coaching reigns in Kyiv. The golden age of Dynamo Kyiv was about to begin. Lobanovsky, an eminent winger for Dynamo during his playing days, perfected what Malsov had started in late 60s. He was perhaps the first coach to follow an almost mathematical approach to football. He micro managed his squad and collected stats and data about each opposition player. He believed that football was not an individual sport but a sum total of the effort put in by each player. He expected his defenders to go into overlaps to assist attackers, while the attackers would come down to help out the defence. Lobanovsky’s tactical flexibility of not keeping a player in a fixed position can be classified as ‘Total Football’. By this time Oleg Blokhin had exploded onto the scene. Strong, swift and blessed with incisive finishing, Blokhin was a model striker. From 1972 to 1977, Blokhin finished as top scorer in the Russian League five times. Blokhin was partnered by Onyshchenko atop a 4-1-3-2 formation. Anatoliy Konkov played as a defensive screen while Leonid Buryak and Viktor Kolotov performed play making duties. Mykhaylo Fomenko and Volodymyr Troshkin provided defensive stability. Custodian Rudakov acted as a perfect bridge between Maslov and Lobanovsky eras. From 1974 to 1982, Dynamo won five league titles and three Soviet Cups under Lobanovsky. The pinnacle of this successful period was victory in UEFA Cup Winners Cup of 1975. Rarely has a team dominated a European competition in such manner. In truth, Dynamo won CWC without breaking a sweat. They scored 12 goals in 6 knockout matches, defeating PSV Eindhoven in semi-final. Half the members of the team that faced Ferencvaros in final had been playing together for five years. Their team chemistry was fearsome as the Hungarian team couldn’t resist the Dynamo juggernaut. Two strikers combined to score three goals as Dynamo became the first Soviet club to win a European title. Technically they did a treble that season as they had already done a domestic double. The Bilo-Syni then defeated a legendary Bayern Munich team (who had won three back to back European Cups) 3-0 over two legs to win the Super Cup. Oleg Blokhin was unstoppable, scoring all three goals while Fomenko kept the dangerous Gerd Muller quiet. Each of the Dynamo players embodied physical fitness – Lobanovsky didn’t have to make a single substitution in the CWC final or Super Cup legs. Lobanovsky returned to Dynamo Kyiv in 1984 and almost immediately took them to the top of Soviet football by winning a double in 1985. The Kyiv side had found a new set of heroes. Blokhin, now a veteran, tagged up with an equally fierce striker – Igor Belanov. Belanov’s combination with midfielder Zavarov was one of the hallmarks of Dynamo’s almost invincible form in that period. Victor Chanov was a courageous goalkeeper who played with a broken hand in the CWC final. Anatoliy Demyanenko was easily one of the best left-backs of all time and he was also their inspirational leader. Dynamo dished out an almost spotless performance in 1986 Cup Winners Cup. None of the teams that faced them were able to shut them out for 90 minutes as Dynamo racked up an impressive 26 goals in 9 matches. Atletico Madrid was swept aside with a 3-0 scoreline in the final. In truth, the scoreline was misleading as Dynamo could have easily scored a dozen goals in that match. Dynamo couldn’t win the Super Cup again this time as they fell to a Hagi goal against Steaua Bucharesti. Lobanovsky retained his players when he selected squad for USSR national team. USSR played some sparkling football in 1986 world cup before being dumped out controversially by Belgium. In Euro88, USSR was again in top-form waltzing to the final after beating Netherlands in group stages. In the final, two grand old men of total football squared off but Rinuus Michel’s Dutch side took revenge of their earlier loss by winning the title. Two years later, they reached European Cup semi-final after a 7-0 thrashing of Besiktas in quarter-final but lost to the eventual winner – FC Porto. In Lobanovsky’s 2nd stint Dynamo won 4 League titles and 3 Soviet Cups domestically. In 1990s, Dynamo Kyiv was invincible in the newly formed Ukraine Premier League. They won every league title between 1993 and 2001. 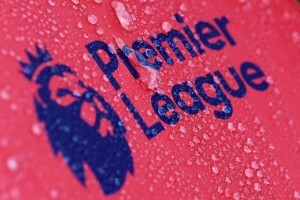 The club struggled to make an impact in European football while getting involved in a bribery scandal. Lobanvsky returned to Dynamo in 1997 after failed coaching attempts in Middle East. Predictably, European success returned. They made a blistering start to 1997-98 Champions League campaign, thrashing Barry Town 6-0. The two pronged strike force of Serhei Rebrov and Andrei Shevchenko created havoc in opposition defences, sharing 10 goals as Dynamo topped a tricky group. This campaign will always be remembered for an incredible 4-0 win over Luis van Gaal’s Barcelona at the Camp Nou. Dynamo came up short against Marcello Lippi’s Cup specialists in next round, losing 5-2 in aggregate. Hapless Barry Town became cannon fodder in 1998/99 season once again. Rebrov grabbed 5 goals in the home leg as Dynamo spanked them 10-1. 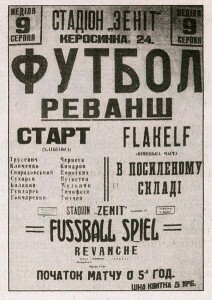 Lobanovsky’s team again topped their group – beating Arsenal 3-1 on the way. After holding Real Madrid to an away draw, Dynamo Kyiv played one of the most famous matches in its illustrious history. Shevchenko was unstoppable in Kyiv as he bagged a brace, sending his club to first ever UCL semi-final. In the semi-final, Dynamo lost 4-3 on aggregate despite putting up a spirited show against Bayern Munich. After losing its star players, Dynamo failed to recapture the old form. Lobanovsky passed away in 2002. 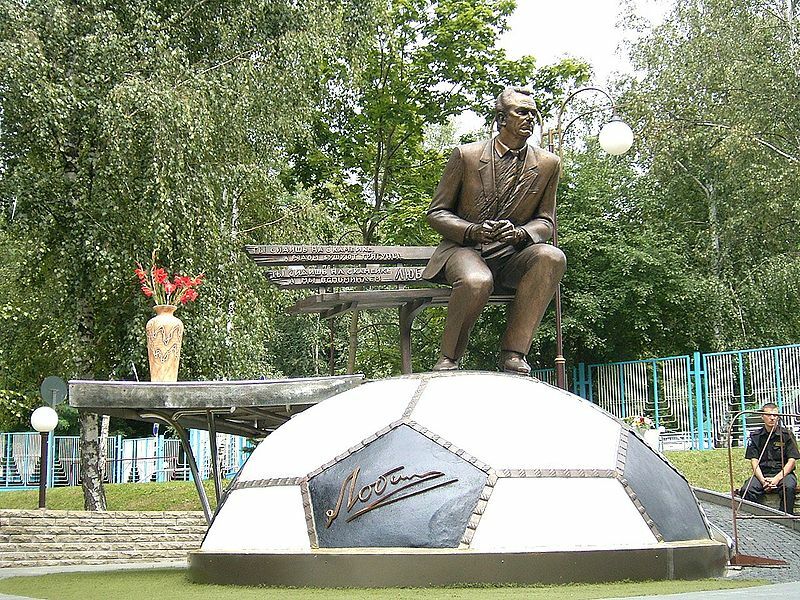 Dynamo honoured the most important person in its history by renaming its home stadium after him. Shevchenko flew to Kyiv after winning UCL with AC Milan in order to place his medal on the grave of his mentor. Propelled by Maksim Shatskikh goals, Dynamo won 5 titles in the new millennium but has struggled in recent times against the might of Shakhtar Donetsk. Dynamo’s famed youth program which has churned out players like Shevchenko and Blokhin in past has continued to produce talented players. Yuri Semin is back in the managerial chair after a successful run in 2007/09 period. There is a renewed sense of optimism in Kiyv. Eastern European clubs have been progressing steadily in European football recently. Teams like CSKA Moscow, Zenit and Shakhtar Donetsk have won Europa League. Dynamo Kyiv has so far failed to match the heroics of the Lobanobsky era, but they are well equipped to relive the glory days.